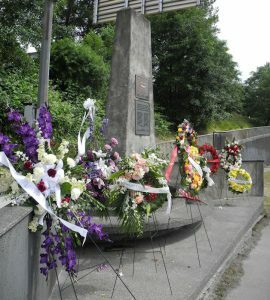 Approximately 150 people came to the ceremony in Vancouver to remember the collapse of the Second Narrows Bridge and the workers killed and injured there June 17th, 1958. Two of the four surviving workers who were on the bridge that day were present for the ceremony. Sharon and Cliff Nordquist hosted the ceremony together with Local 97 of the Iron Workers Union. Lou Lessard spoke briefly about his 175-foot plunge from the Second Narrows Bridge into the inlet and his recovery in hospital. 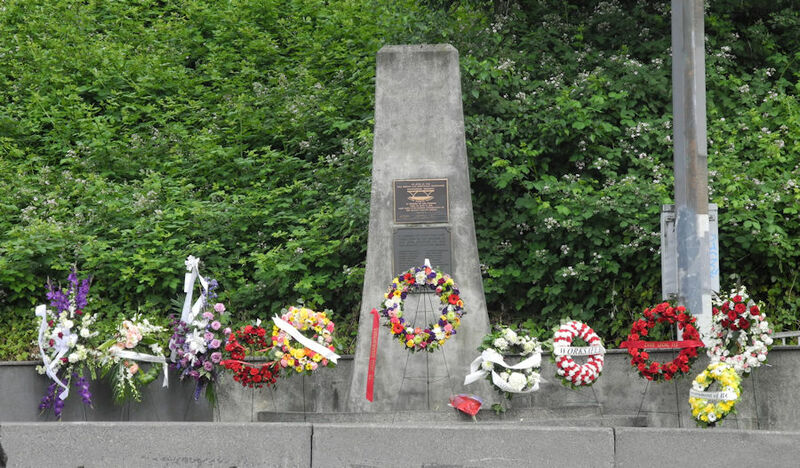 It was a very poignant part of what was a very moving ceremony when Lou read the names of the 19 men killed in the accident and the four others killed before the bridge was completed. Eric Jamieson author of “Tragedy at Second Narrows” read a passage from the Epilogue of his book and a stanza from the poem “Steel Men” by David Martins. Dr. Phil Nuytten spoke about his experience as a 16-year-old rescue diver who was shaped by the experience to promote safety for the rest of his life. Reverend Barry Morris led a quiet prayer as he has every year since the 1990’s. Piper Tim Fanning from the Vancouver Police Department played a solemn ayre for the solemn procession to the plinth at the foot of the Ironworkers Bridge. There were several political dignitaries in attendance who respected the solemnity of the occasion. 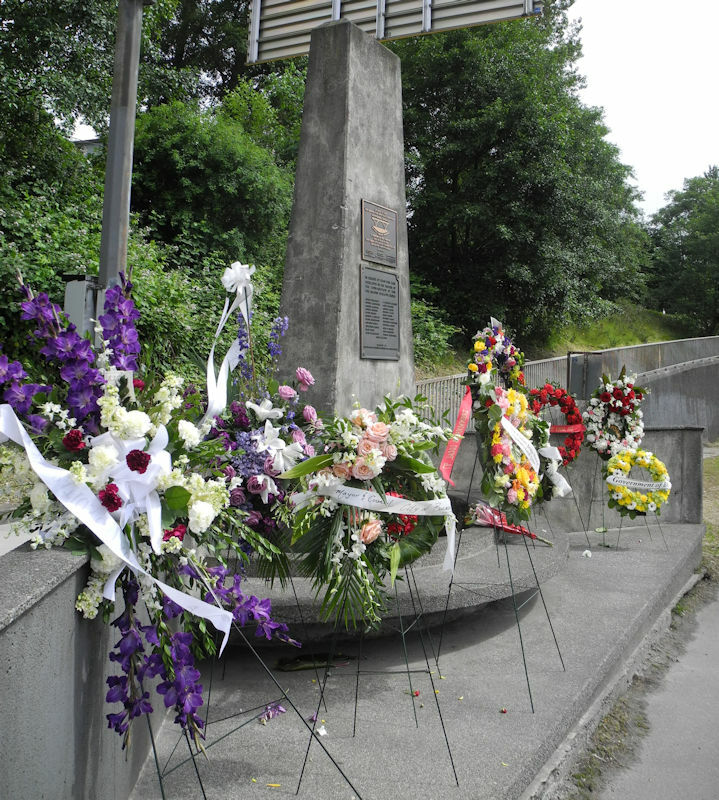 Eleven wreaths from a variety of government, safety, and labour organizations were placed at the east cairn. The weather cooperated with a warm hazy Saturday on the 59th Anniversary of the collapse of the Second Narrows Bridge, later known as the Iron Workers Bridge, and renamed in 1994 the “Ironworkers Memorial Second Narrows Crossing”. It is expected the 60th Anniversary will have a large crowd as did the 50th Anniversary.